A <<Shadow Paladin>> Deck that specializes at retiring the opponent’s Rear-guards. Its ace, “Phantom Blaster Dragon” can retire 3 of your opponent’s Rear-guards instantly! Crush the enemy with the overwhelming destructive power of the dragon with epitaph of “Dragon of Hell”! A <<Dark Irregulars>> Deck that powers up by accumulating Soul. Experience the overwhelming attack of “No Life King, Death Anchor”! Behold the absolute power that will bring your opponent to despair! 跪け！ゴールデングランドフィナーレ！ Kneel! Golden Grand Finale! A <<Pale Moon>> Deck that specializes at bringing cards out by calling allies from the Soul. “Golden Beast Tamer” can Call up to 2 Units from the Soul and strengthen all Units! Make your opponent kneel before you with both the carrot and stick! A <<Murakumo>> Deck that toys with the opponent by calling allies and duplicates from the Deck. 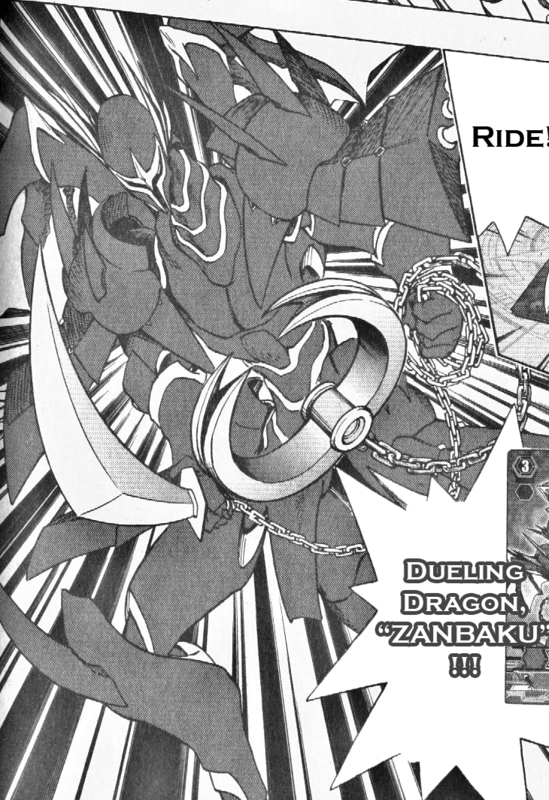 By Riding “Dueling Dragon, ZANBAKU” and assembling “Right Arrestor” and “Left Arrestor”, you can seal your opponent’s ability to Ride and Stand! Splendidly restrain your opponent and then cut them down with the flash of the Dragon’s strike!